There are three main things that you will need to setup prior to an election. User Id - This is what they will be using to login. Most of the time schools use student id. This must be unique so using last name is not a good idea. User Password - This is what they will use as their login password. Often schools will put the word Birthday here and use the login notes as their description. 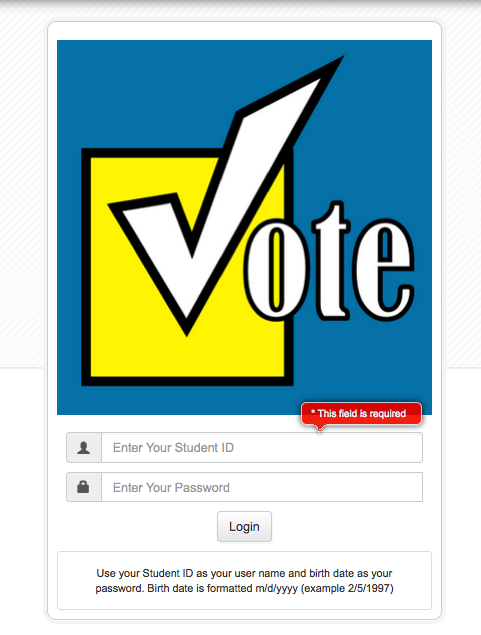 Here is how the student login page will show up when the students vote on a computer.